The Webster University online MBA offers quite a lot of flexibility. Students can enroll at any number of physical campuses, or complete the degree entirely online. Certain courses combine the two approaches. Webster is known for its solid partnership with those participating in active military duty. 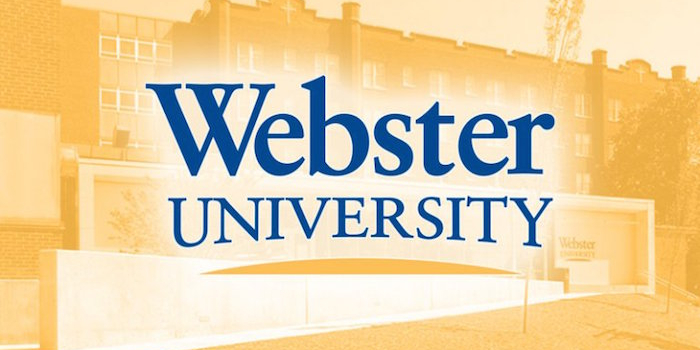 What kind of student is drawn to the online MBA program at Webster University? Webster University’s online MBA program is ideal for those who have jobs that require travel, and who would have a difficult time attending class each week on a particular night. It has also been a huge enabler for those in active military duty in terms of being able to continue working on an educational credential, even while deployed. Lastly, for those who live in remote areas where it is difficult to reach a campus conveniently, an online degree program provides a way to be able to pursue one’s MBA from virtually anywhere in the world. Is the degree entirely online? Or is there a requirement to spend time on a physical campus? Our MBA degree program is offered at all of our U.S. and international campus locations as well as online. Students who choose to pursue their MBA from Webster can take classes at any of our campus locations, or they may choose to complete their MBA, from start to finish, completely online. We also encourage students to take the click (online) or brick (face-to-face) combination of courses. How accessible are faculty? How do online students best communicate with faculty? Generally, students use the email function embedded within the online course to reach the instructor. They may also email the instructor outside of the course site or connect via telephone. Instructors list their contact information on their syllabi, and many provide both cell and daytime work numbers so students can get in touch with them. How can online MBA candidates best network with their peers in the program? Most instructors build opportunities for teamwork and networking within the course itself. This is achieved through team projects, group discussion boards and more. Students can also communicate with each other by using the various chat tools in the courses. What academic area(s) of concentration are most popular in the Webster online MBA program? The largest program at Webster based on enrollment is the MBA. There are a number of students who choose to do an optional 12-hour track or an even longer area of specialization as part of their MBA, but those are not required. The MBA is a 36-credit-hour program and is completed in 12 courses. Two of those twelve courses are elective courses of the student’s choosing. Is there a career services office or other professional support for online MBA students? Yes. Webster University students have access to our career services office in addition to our library and various other student service functions. In addition, we have a designated Student Affairs Officer specifically for our online students. What kind of post-graduate support does the university offer online MBA alumni? Many of the faculty strive to maintain contact with our students. We are exploring some new options in the career services area that would extend assistance to our alum for a longer period of time; negotiations are underway and we hope to have an announcement in that regard in the coming months. In addition, on Sept. 23 we will host the Webster Global Online Career and Internship Expo for our students and alumni. This virtual expo is designed to provide students and alumni with career and networking opportunities. Any final words of wisdom you would like to share with potential online MBA students? To succeed in an online environment, you have to have discipline and time management skills. The online MBA also demands rigorous self-motivation because students must login on their own time to complete the course material. While the online MBA offers convenience and affordability, the program is just as rigorous and demanding as our traditional, face-to-face MBA.